The project designs reflect the clean lines and simple aesthetic of today's young sewing enthusiasts and include snazzy wearables, accessories, clothing for babies and children, and even home decor and furnishings. Most feature embellishments and decorative effects - simple touches that personalise a project with charm - and nearly all make use of appealing textural fabrics like jersey knits, linen, wool, and felt...even paper and vinyl! 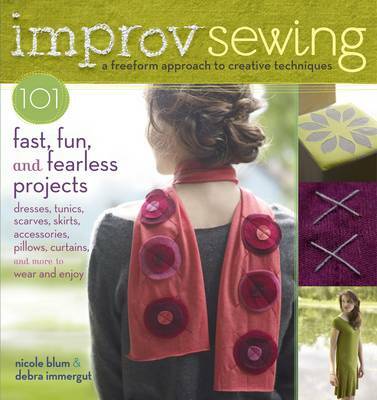 Blum and Immergut walk readers through the sewing basics, demystify the lost art of simple pattern-making, offer visual guides to stitches, and offer easy instructions for techniques such as applique, doodle-stitching, and layering of fabrics. Even the most time pressed readers will be able to stitch together modern, personalised, and beautiful projects...fuss-free and in a flash!